The Android operating system’s foundation is the Linux kernel, Yes, that Linux: the one that has it’s own operating system and is commonly used by tech enthusiasts on laptops and desktop PCs. Every operating system needs to have a kernel as the innermost piece of its foundation. From there the Android and Linux operating systems begin to change quite a lot, but it does always mean that Android, like Linux, is always going to be based on open source software. Linux being the open source environment that it is has allowed it to develop into a great many distros—roughly as many as 50 of them are available for people to choose, each with their own userbase that prefers it over any of the other 49 options available. The difference in distros has allowed people to pick one that best suits their needs; it isn’t just about what is the best but rather what distro makes the most sense for each person to use based on what they’re looking to get out of it. What it all boils down to can be summed up as customizing the operating system. Android doesn’t have that: there are no distros to choose from, nothing by way of customizing that you can do to help pick a version of it that best suits what you’re looking to achieve. At least not with the stock software that Android comes with anyway. If you do have the stock software, then all you can do is choose from whatever changes there are to be made from the software that you see, tapping and holding the icons, visiting the Settings application and toggling a few things here and there, and so forth. But what Android does have up its sleeve, however, is lots of third-party developers out there who are creating custom software based on that same Android foundation but then compiling a bunch of different apps and features that make it unique. And there isn’t much difference between that and what a Linux distro is: distros are the same kernel with different applications and layouts that then make them unique versions. I’m not for a second suggesting that it wouldn’t be better to have it the way Linux users do: to have official distros that make you feel all warm and fuzzy with the secureness of knowing that it’s all done as official builds. But you also shouldn’t underestimate the knowledge and skills of some of these third-party developers who are responsible for creating the custom ROMs. There isn’t a great deal of financial backing for these custom projects that third-party developers take on in their spare time so the way they get presented can seem a bit of a letdown, though we also shouldn’t forget that some custom ROMs have gone on to become so well-liked that manufacturers have preferred rolling with those ROMs out of the box instead of the official Android builds. Take the OnePlus smartphone for instance that was shipped with CyanogenMod. The custom recovery images available in this guide are only to be installed on the Samsung Galaxy J3 2016 Qualcomm (SM-J320YZ) smartphone. Most devices have a custom recovery image developed specifically for it, and you shouldn’t install one that is intended for another device unless advised it is okay by a professional. 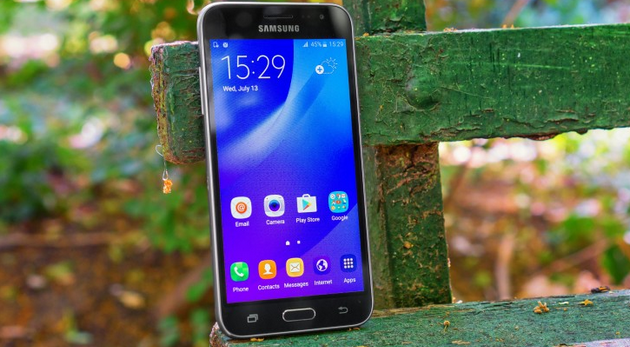 The codename for the Samsung Galaxy J3 2016 Qualcomm (SM-J320YZ) TWRP Recovery image is “j3lte.” You will see that codename in the TWRP image file path and also from your About Device menu so you know you are flashing the right file on the right device. Installing official software updates after having a custom recovery installed is not supported by the custom recovery developers. That’s not to say that it isn’t possible to return to the stock ROM, but it can lead to unexpected behavior if you do. Official updates that come directly from the manufacturer as over-the-air updates are often differential updates, which means they don’t run through the system partition and oftentimes they don’t even completely remove the old files, preferring to use some patchwork over the existing files instead. All that is fine and can help you save data, but if you start installing these differential updates again after you’ve previously had a custom recovery installed, that’s when some unexpected behavior can occur. It’s also possible for a manufacturer to make changes to the recovery images, and when you reinstall them, the changes could potentially conflict with the custom recovery that was installed. There is no way for the custom recovery developers to get their hands on the source code of the stock recoveries which is why nothing can be done about it. When you install an official Samsung stock ROM, you are removing the root access and the custom recovery image that you may have had. Instead of doing that it is advised that you wait for a new custom ROM that is based on the same Android version to arrive, which usually happens only a few days later than the stock software rolling out. There isn’t technically a way for you to uninstall or remove TWRP Recovery. Your device always needs to have a recovery partition installed at all times. So what you can do is replace the custom recovery with a stock recovery again. Assuming you’ve already read the warnings above, you can do that a couple of ways, both of which involve the stock ROM zip files. You can either unpack the firmware zip file and then flash the recovery image that is found inside, usually done the same way that you flashed the custom recovery. Or flash the complete stock ROM and it’ll replace the stock recovery at the same time. The way you flash the stock ROM will depend on the manufacturer. For Samsung devices, there is the Odin flashing tool that you can install on Windows operating systems. If you get a message stating that you have on OS installed, it likely means that you managed somehow managed to wipe the system partition. Given the sensitiveness of how the system partition can change the way your device operates, this is not the ideal scenario to find yourself in, but there are ways out there for you to fix it. If you have already taken a backup, then you should be able to restore that backup from the custom recovery menu. In such cases, the backup will then reinstall the system partition and leave you with a working operating system. If that doesn’t work though, or you didn’t take a backup yet, you can try getting back to stock firmware for your device instead. For Samsung devices that is by using the Odin flashing tool and then flashing the stock ROM using Odin on a computer.